Owen4Schools « Would the Governor’s office LIE to the Public? The Governor's Office Would LIE to the Public? We are hearing increasing reports of bullying, harassment, and intimidation tactics being used by Tennessee legislators, to strong-arm YOUR ELECTED REPRESENTATIVES into voting the way THEY want them to vote, rather than for the interests of constituents. Now, we are also hearing that people who voted for Governor Bill Lee have called his office to ask questions about the current “Education Savings Account” school voucher legislation and that they have not gotten honest answers. Sweet ladies are contacting me to let me know that they called the governor’s office, and the bill “just” says this or doesn’t say that – and I have to show them the actual amendment and see their faces when they realize that their governor’s office has lied to them. Students’ lives should not be impacted by this kind of behavior. Unfortunately, some of our legislators see our students only as dollars that support their buddies’ businesses and as PAC interests that support their own campaigns. Our students need YOU to stand up and tell YOUR legislators to stop using students as political pawns, take responsibility for public schools, and increase funding to public schools to bring us up from FOURTY-FIFTH! 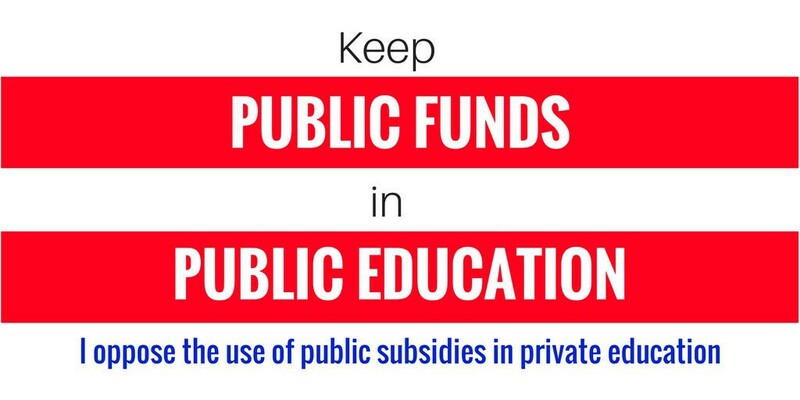 in the nation, rather than throwing money away on voucher and charter schemes to privatize, separate, and segregate YOUR PUBLIC SCHOOLS. If you have called the governor’s office or your local legislator and they have told you not to worry about this little amendment, please read it for yourself. I’ve added some highlights and red notations to help you get through the wordy-wordiness. If I missed noting anything concerning in the amendment, please let me know in the comment section at the bottom of this page. If your browser does not support reading this PDF, you can download it HERE.